You did it! You graduated from a prestigious four-year university and finally received that degree which proves you are an intellect of sorts. Those many sleepless nights and consumption of numerous cups of coffee have finally paid off. You did what many people view as the definition of success. Good for you! Searching for a job seems to be the next step, but how will you get around now that your bus pass is expired? I suppose you could get a new one, or you could invest that money into something a little more reliable. Maybe a new car. New cars can seem expensive due to higher insurance rates, let alone a higher monthly bill, but it can be a long term investment in terms of reliability and a covered warranty. Many car companies look for first time buyers, and some even offer benefits to people that already have their degree--see what I’m getting at? 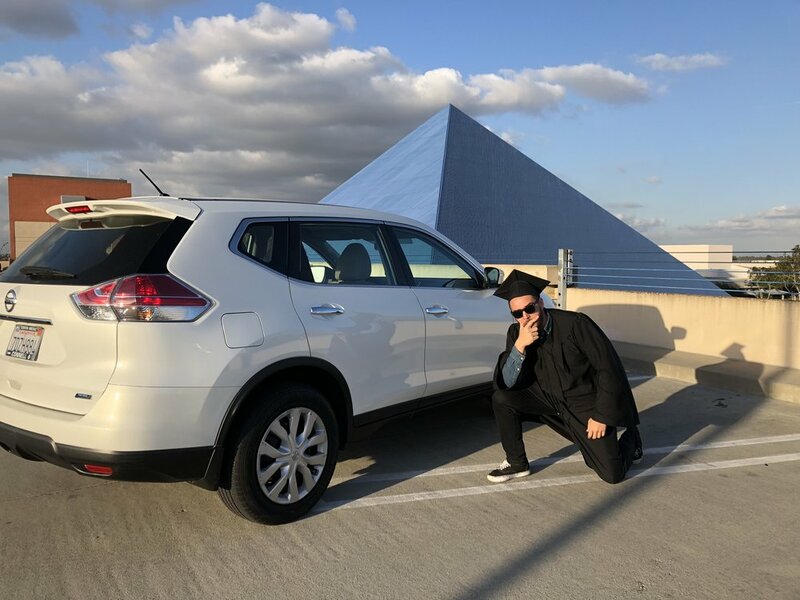 As a soon to be graduating student, I understand the impending doom of having to find a job and to begin adulting, so forming this list of car deals is a win-win for you and I both! I’ve covered all bases, this list contains deals from premium cars to the most basic modes of transportation. I will not only look into the incentive, but also the vehicles I recommend and whether the car brand is worth the deal or not. As the luxury division to Honda, Acura has prided and sold their image as a reliable alternative to highball luxury car brands. Although many consumers may have looked over Acura due to sportier options from other brands and controversial styling, you simply cannot go wrong with an Acura. With remarkable pedigree and timeless designs, BMW is a company that truly understands what their consumer wants in a car. These cars are considered the most pricey in this list, but this is to be expected when considering a car like this. BMW’s Driving dynamics, interior materials, and impressive performance numbers are always regarded to be among the top of any luxury brand, so you definitely get what you pay for. Sure, the 3-series is no longer the best-in-class now that other competitors are catching on to what makes a great sport sedan, but with a deal like this, it’s definitely worth considering. Treat yo’self! Ford has built more automotive icons than any brand on the market. As one of the biggest brands to ever grace the face of this earth, you would imagine this company can make great cars. You would be right! The Mustang is a timeless classic and the Focus has one of the best driving experiences on the market with many offerings such as a fully electric model, a turbocharged ST model and a completely bonkers RS all wheel drive monster. However, there is a huge downside to this company: reliability. It seems that Ford hasn't fully grasped the concept of a car that can be as reliable as it is beautifully built. Yes, the deal is cool if you are a huge ford fan but otherwise I would be extra cautious. The most interesting thing about going to a General Motors dealership is the endless amount of options at your disposal. With whatever lifestyle you choose to live your life, there is most likely a GM vehicle that can fit your needs. Also, within recent years, GM vehicles have improved with better interior materials and a more engaging drive, so you can definitely count on a positive driving experience with your new car! As said before (see Acura), Honda builds part of its reputation on reliability. The other part is based on that ol’ Honda Magic. Honda magic is based on the idea that honda is able to successfully marry practicality, great efficiency and safety in a fun to drive little package. Honda might have less standard options and the price for one might be a bit higher than other competitors, however the money is put towards top of class build material and a car that will last practically forever. Who knows, this may be the car you pass down to your children when they leave for college. At least you’ll know it will keep them safe! Hyundai and Kia have made one of the biggest comebacks of the century. Just about 30 years ago, Hyundai launched their first car, the Excel, into the U.S. market. They may have had an extremely harsh start-up, but they prevailed and are now launching their first luxury car division, Genesis. As of now, Hyundai and Kia has now become one of the biggest car manufacturers in the world. Their build quality has reflected this success, now that cars have become more reliable and build materials have drastically improved. These improvements are still new, however, so further research on reliability on specific models would be recommended. Mini was intended to be a small car for the masses when it was first introduced to the British public in 1959 as the Austin Mini. the car was an instant hit, not only for its small size, but also for its performance. The car was fitted with a transverse engine (sideways fitted engine) in order to create more room for occupants in such a small package, but also unintentionally made for a go-kart like driving experience. The car was not a rather fast car, but because of the car’s predictable handling it was able to punch above its weight and compete against cars no one would have imagined it to. The car was re-launched in 2001 under the BMW company as the Mini Cooper. With other models in its stable, there is now a Mini for everyone. Just be wary, reliability is a problem with these cars, and since these cars are basically BMWs, repair costs will be high. Worth the deal? Yeah I guess. As Jeremy Clarkson has proved once before in an older episode of Top Gear, Toyotas are cars that can handle almost any situation. Reliability is a huge plus for these cars, and owning one would also have one of the lowest costs of ownership. Their trucks are extremely tough work-horses, and their cars can last longer than nearly anything else on the road. There is also a huge catch, these cars have next to no driving involvement whatsoever. With the Toyota 86 and the Yaris iA as an exception, these cars are as dreary to drive as doing your taxes. Yes, these cars will get you from point A to point B with no trouble at all, but you’ll need a defibrillator to wake you up from the experience. If you are looking for a car with sophistication and german quality, then a Volkswagen is a great choice. This is a company with a different approach to the common vehicle, valuing standard features and upscale quality as their priority. Dieselgate may have hurt the people’s trust towards the company, but their lack of business could lead to Volkswagen dealerships offering discounts off vehicles. This could mean big savings for you. Just be careful, reliability has been an issue for Volkswagens of the past, and German parts are not cheap.